In 2004, Hurricane Charley whipped across Florida, destroying everything in its path, including the Wauchula Seventh-day Adventist Church. The church sanctuary was completely leveled, but the detached fellowship hall was spared, so the congregation began worshipping there. After meeting in the fellowship hall for more than a decade, the small congregation of 28 members reached out to Maranatha Volunteers International to discuss rebuilding the sanctuary. With only $40,000 of insurance money, the church was interested in Maranatha’s cost-effective building plan for North American churches. The blueprints save congregations money on architect fees and also help to expedite the entire construction process. The members also enlisted the help of local Maranatha veteran and board member Roger Hatch. “They asked me if I would help them build the church,” says Hatch. 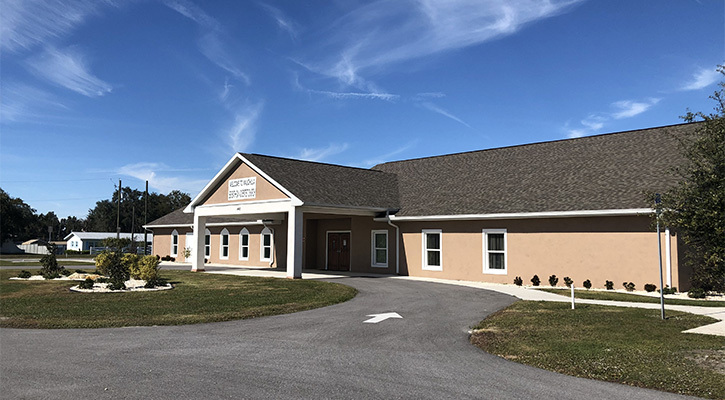 “I told them, ‘When the money runs out, we’ll stop.’ But the money never did run out.” Through a variety of fundraisers, including a musical program that raised more than $30,000, the small group was able to secure enough money to get started. While funding grew, other challenges arose. Although the local building department and fire chief approved the Maranatha-designed plans, the regional fire marshal would not. The marshal required a commercial sprinkler system be included, which would cost up to $40,000. This brought progress to a halt. For a year, members waited until a new rule in the code book was discovered. It stated that disagreements between a local fire chief and fire marshal would result in ruling authority being given to the local chief. After a month, the marshal relented and the church was free to move ahead with construction. In November 2016, construction began, and with the help of 54 Maranatha volunteers, the church was completed in 11 months. 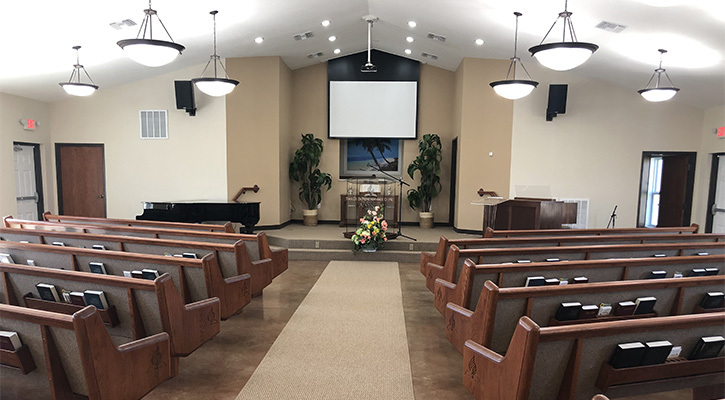 Once finished, church members exhibited a new pride in their building, inviting friends to worship in their sanctuary. Soon the church’s membership grew from 28 to 70, a 250% increase. “I think it shows that when you have a decent house of worship that people are proud of, the church will grow,” says Hatch. Since 2012, Maranatha’s standard North American church design has been utilized by half a dozen congregations in the United States. Groups also have the option of using Maranatha volunteers to construct the church, which provide further savings. Currently, the Adventist Church in North America is collaborating with Maranatha to fulfill a number of church construction requests in the United States and Canada by using the standard church plans and volunteers. Learn more about Maranatha’s standard North American church design here.